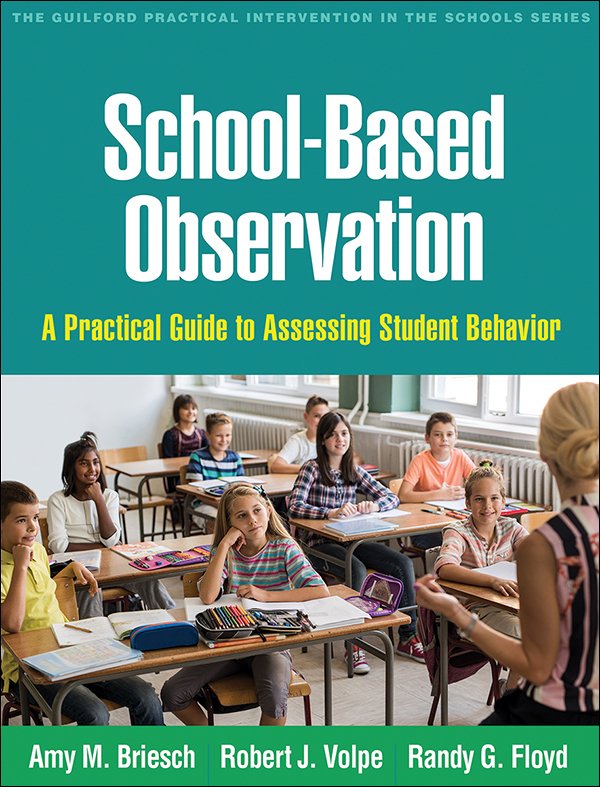 Widely used to assess social–emotional and behavioral referral concerns in grades PreK–12, systematic direct observation is an essential skill for school psychologists and other educators. This accessible book helps practitioners conduct reliable, accurate observations using the best available tools. Chapters present effective coding systems for assessing student classroom behavior, the classroom environment, behavior in non-classroom settings, and behavior in a functional assessment context; also provided are guidelines for developing new codes when an appropriate one does not already exist. Procedures for summarizing, graphing, and interpreting data for different assessment purposes are detailed. In a large-size format with lay-flat binding for easy photocopying, the book includes 13 reproducible coding forms. Purchasers get access to a Web page where they can download and print the reproducible materials.